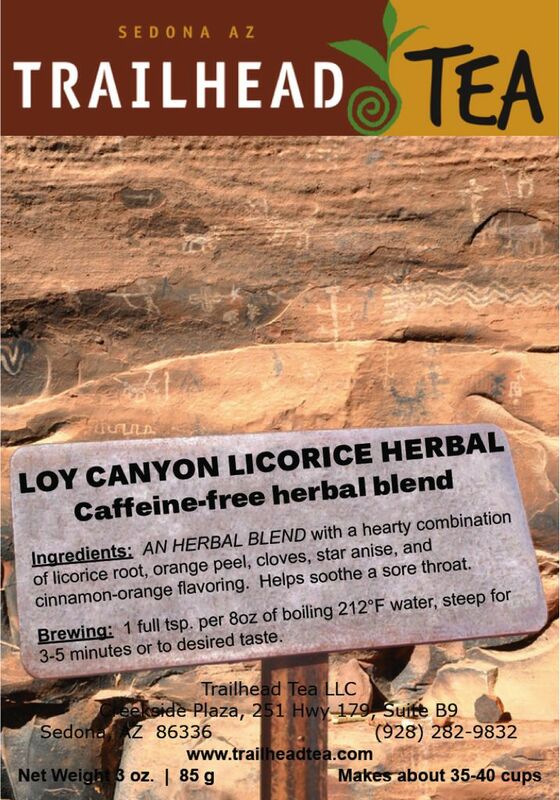 Caffeine-free HERBAL & spicy blend of LICORICE ROOT, that also contains orange peel, cloves, cinnamon, and star anise. Need to soothe a sore throat? 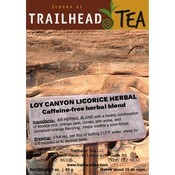 A caffeine-free HERBAL & spicy blend of LICORICE ROOT, that also contains orange peel, cloves, cinnamon, and star anise. 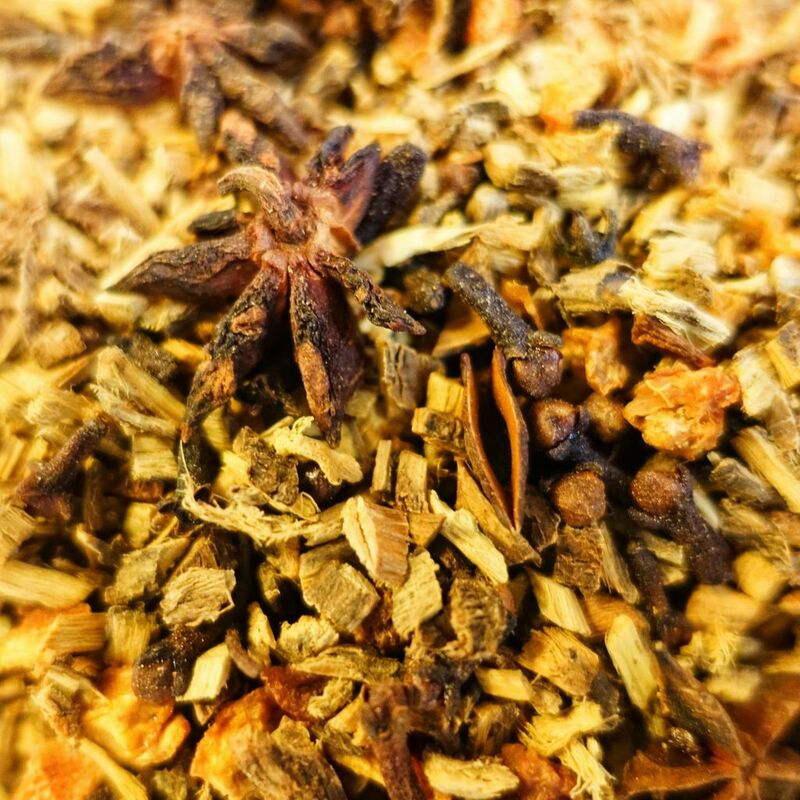 Package size is 3 ounces of full leaf tea, which yields approximately 37-38 first cups. Tin size is 4 ounces which yields about 62-63 first cups. Bulk one pound is available for about 200 cups. BREWING: Full teaspoon for every 8 oz of boiling 212°F fresh water. 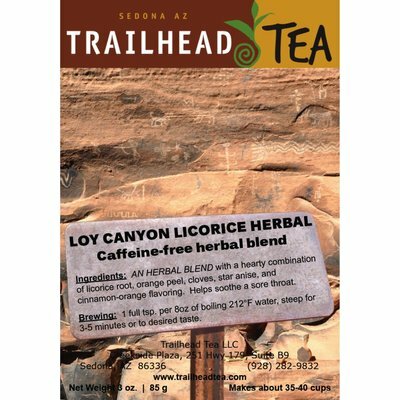 Steep for 4-5 minutes or longer to desired taste.